Robert Howard is only the eighth man in the world, and the first European, to be ranked as Saseong – with a ninth-degree black belt. 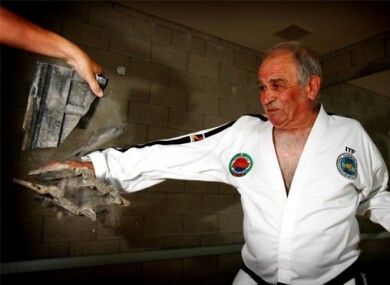 Email “72-year-old Dubliner promoted to Taekwon-do grandmaster”. Feedback on “72-year-old Dubliner promoted to Taekwon-do grandmaster”.